I installed Firefox 4 a few days ago and I have to say I like some of the improved features a lot. I've been using Firefox as my primary browser for several years now and aside from some past(?) issues with memory bloating, I've continued to prefer it even as I transitioned from Windows (IE – no contest) to Mac (Safari – close, but no cigar). Now, browsers are a pretty commoditized product and I wasn't expecting any major changes in the overall experience with this new release. But, I have to say that two of the new features really impressed me and are going to have definite impact on the way I use my browser. This is a great idea. 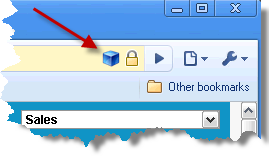 Rather than using bookmarks for the web applications you're always in (Gmail, Facebook, Typepad, Mint, Salesforce), just have a permanent tab for each. I love Expose on the Mac. I swipe four fingers on my trackpad and get a clean view of the kajillion windows I have open at any given time. Tab Groups is a similar feature for Firefox. Hit Command + Shift + E and you get a similar view of all the open tabs. When I'm doing Salesforce development, I may have a dozen or so open tabs all with the same tab title. Being able to see them all and quickly identify the one I want on sight is a great time-saver. I was also really pleased to see that Firebug had released it's FF4 compatible update the day prior. That's an add-on I can't do without, so it was wonderful to see that Mozilla had done a good job of keeping partners in the loop on the impending upgrade. Well done, gentlemen.